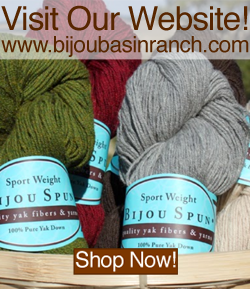 Bijou Basin Ranch: June Events with Bijou Basin Ranch! June Events with Bijou Basin Ranch! 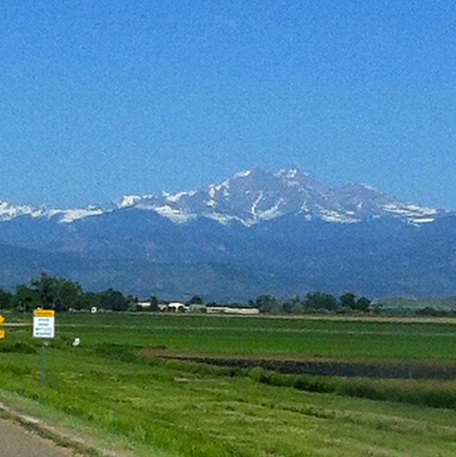 On the way to Estes Park! Summer is here! We've just returned from the Estes Park Wool Market, and we're looking forward to a busy month filled with yaks, yarn, and exciting events! Later this month, we'll be headed to the Pacific Northwest for the Black Sheep Gathering in Eugene, OR June 20-22. This is our first time attending this event, and we're really looking forward to it because we've heard such great things about it. Even if you won't be attending this event, you can follow us on instagram to keep tabs on us! Another exciting event (which is happening the same weekend as the Black Sheep Gathering, in fact!) is the Zombie Knitpocalypse Retreat in Rochester, MN. This event features a Marketplace, Yarn Crawl, Classes, and even a 5K! We have donated coupons for our online store to the goody bags & a Torrey's Peak Vest Kit as a door prize. Many thanks to Megan and Amy for inviting us to be sponsors for this year's retreat! We're halfway through our Spring Mystery KAL over in our Ravelry Group; if you are just joining us, you can click here to see some spoiler photos from our participants! There is still plenty of time to catch up to the group; the final clue will be revealed on Wednesday, June 25....and did we mention there will be prizes? Rosi's Mystery KAL pattern is available here on Ravelry; you can also click here for a discount on your purchase of Shangri-La yarn on our website! Last but not least, we're excited to share a brand-new site called Indie Untangled. 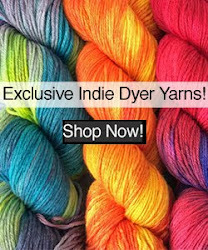 It's a great way to stay up-to-date with your favorite yarn dyers, and we will be sharing our own updates via the site as we countdown to the Outlander series premier with our Outlandish hand-dyed color series - stay tuned for more details!